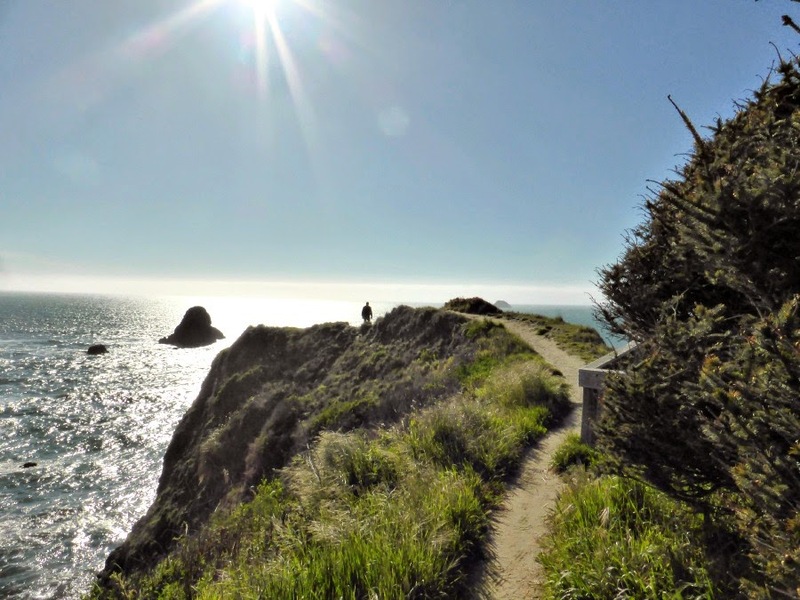 We explored the Northern California Coast from RV parks in the Sonoma Valley - one in Santa Rosa and a Thousand Trails Park in Cloverdale - The Russian River RV Campground.. I know several readers are interested in the Thousand Trails parks in this area. We really liked this one. 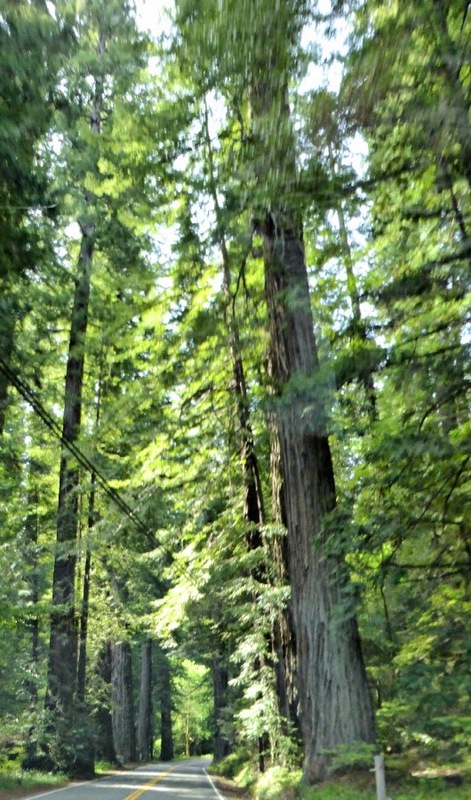 It was isolated with limited cell and MiFi coverage (2 bars 3G) and no TV reception but really beautiful and well located on the border between the winerys of Sonoma and Napa and the redwoods of Northern California and just a 30 minute drive from the coast. We've come to realize that Thousand Trails Campgrounds (and they are campgrounds, nor resorts - although they all have club houses, swimming pools, etc.) are indeed "get-away from the real world" spots. If you want TV - bring a satellite dish. The menu appeared to be pretty limited but when we got to the front of the line (there were about 10 people in front of us), inside the building there was a much more extensive menu. Which you can view on their website. These are the specialties of the house. Arch had the clam chowder and crab sandwich and I had the crab cakes. All very delicious. 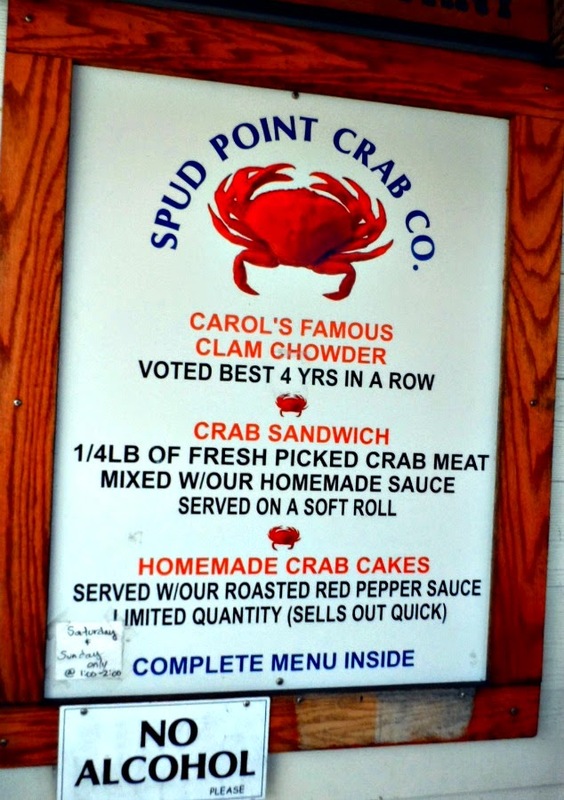 I am not sure why all the restaurants we visited served clam rather than crab chowder. 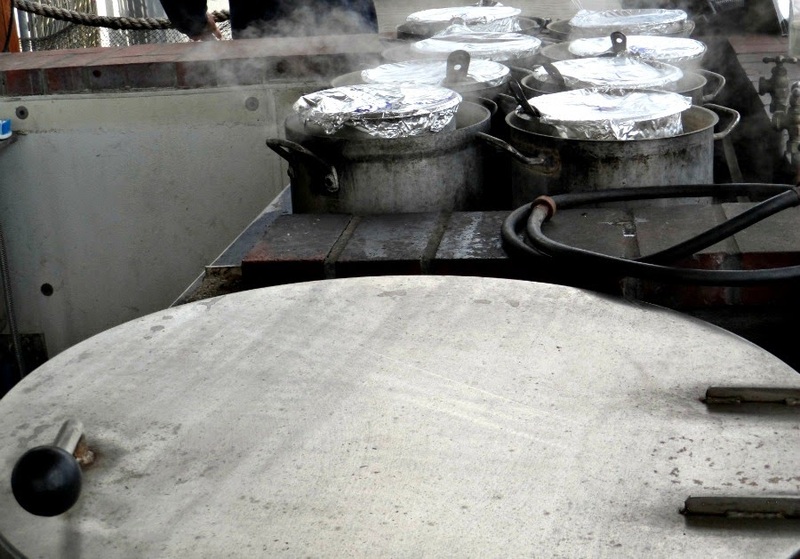 Maybe the crab chowder does not "hold" very well after it is made. There is a recipe on this blog for Lobster and Scallop Chowder. If you can get fresh crab I suggest you substitute crab and clams for the lobster and scallops - really yummy. He booked a tee time and asked the booker to pair him with other players. His partner turned out to be a lawyer from San Francisco. Between the stories his partner told him and the challenge of the golf course he had quite a day. 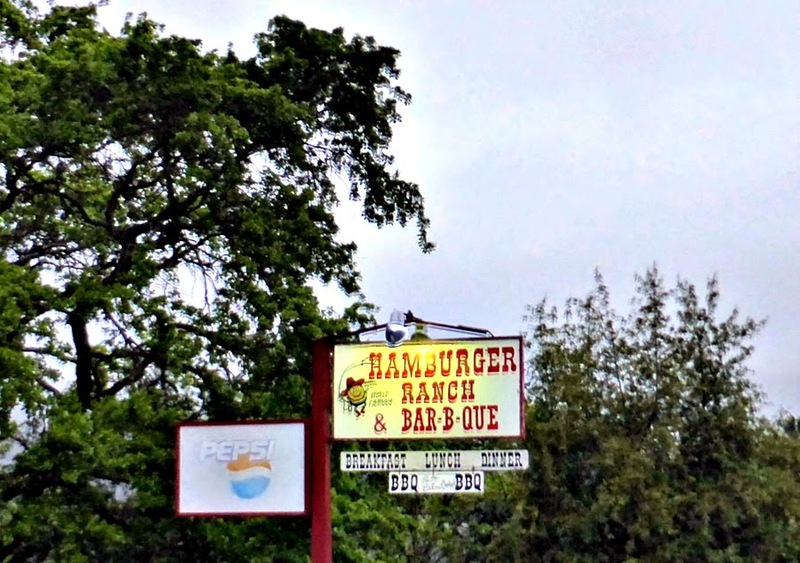 Close to our campground in Cloverdale was The Hamburger Ranch & Bar-B-Que. 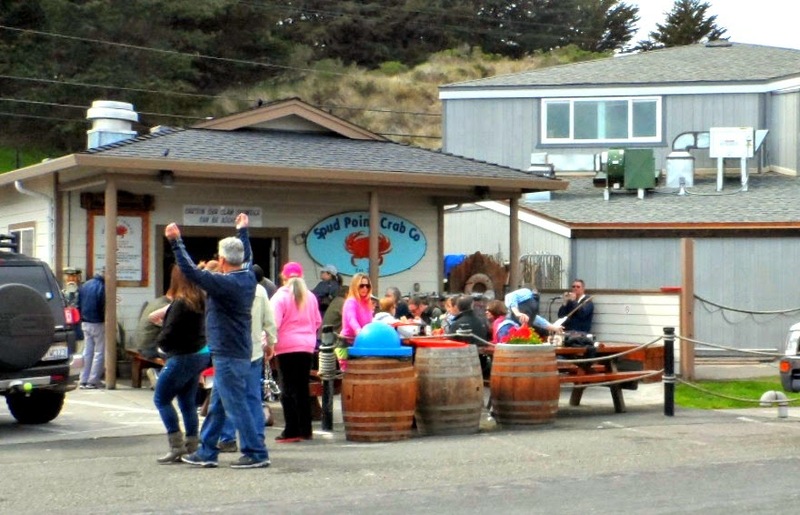 We soon realized it was a very popular BBQ place frequented by the locals. So we decided to try it out. And paid the price the next day. I think he is through with US Bar-b-que for this year. 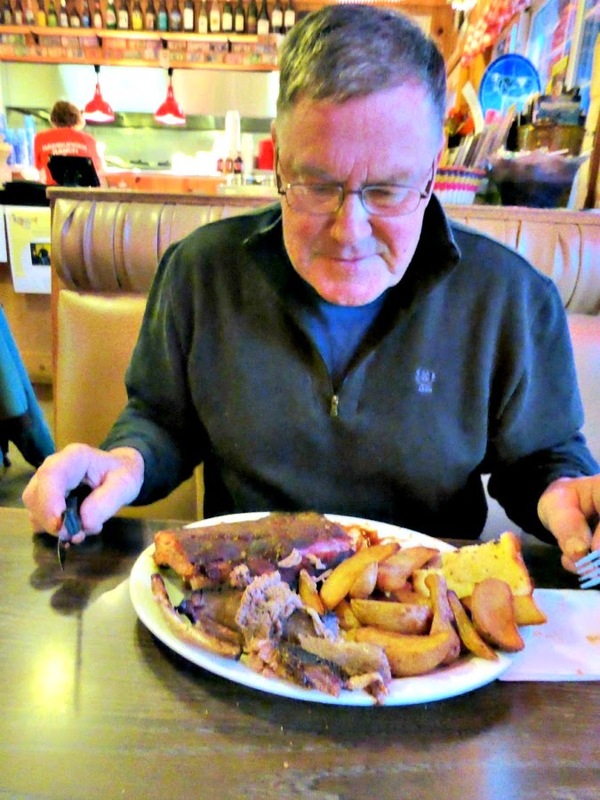 For my Canadian readers - in the United States BBQ means smoking and slathering with special sauces (usually sweet or spicy, or both) and then grilling - not cooking on the barbecue. Arriving back at the ocean at Eureka. Unlike the coastline between San Diego and San Francisco, the California Coast north of San Francisco is really quite accessible, with much of the land preserved as state parks and beaches. And beautiful. In most places the road was washed out one way - it is left to the drivers to decide who goes first - with several washouts and no guardrails. I was too scared to take pictures. That is Arch out on the end of the walkway. No way I was going out there. Then it was on to the Oregon Coast. Beautiful and quite different than California. But that is a subject for another day. Hiking along the coast is so much fun. There are so many little hidden coves. 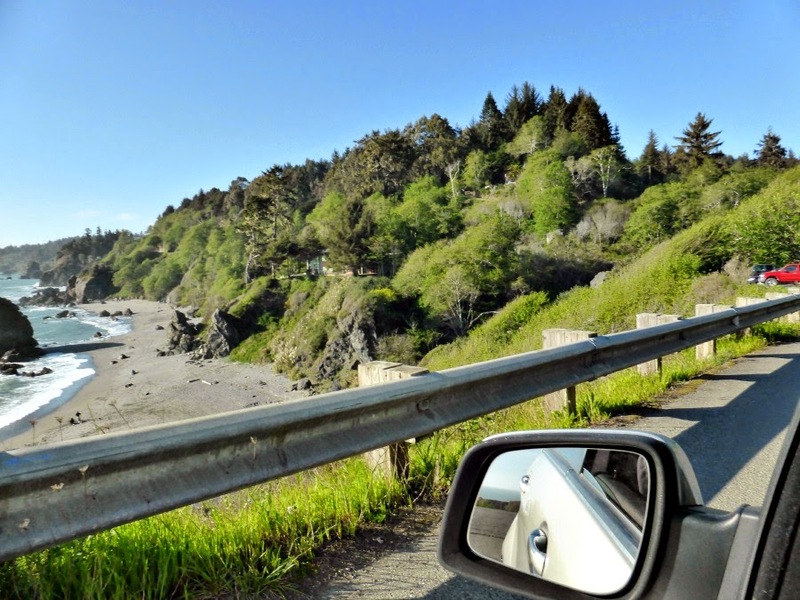 Oregon coast-a part of the continent we do not hear much about-looks awesome! Most beautiful area we have visited, Debbie. Really amazing.